Dev Bhoomi Constructions in Dehradun is a trusted Property Loan Consultant offering adaptable consultancy for getting instant loan for or against the property. Supported by a team of experts and owing to our close associations with several banks, and other financial establishments, we provide effective consultancy to the clients. Our experts capably provide professional Property Loan Services with their technical know-how understanding & knowledge. They inform the clients about the latest schemes having low interest rates and easy repayment methods so that the clients get maximum benefit. We believe in working with transparency and by adopting ethical practices. We clearly state all the hidden clauses and terms & conditions behind the scheme so that client is completely aware of what he is getting involved in. 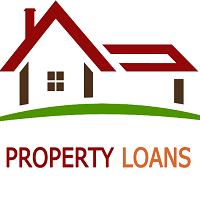 Over the years, we have provided adaptable Property Loan Consultancy to the clients and have become trusted Property Loan Consultant in Dehradun.